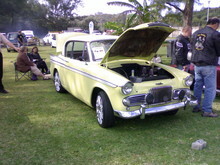 Sunbeam first introduced its two door, Hillman Minx based Rapier in 1955. 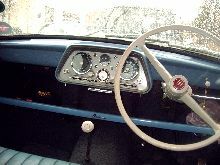 The new model looked modern and attractive and featured a pillar-less side window arrangement. Throughout the models development the Rapier found favour amongst "sporting motorists" and achieved some successes in rally events around Europe. 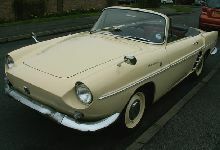 In 1958 a revised Rapier II replaced the original model and introduced a traditional Sunbeam radiator grille. A new two door convertible body joined the standard two door saloon model and handling was improved by introducing revised road springs. Other improvements included a more powerful engine, better brakes and a higher final drive ratio.